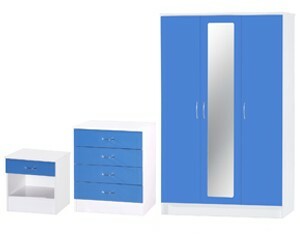 Ark Furniture Wholesale offer an array of quality made children's bedroom sets from reputable and recognised furniture brands that will suit a variety of children's bedroom styles. Children's bedroom sets from Ark Furniture Wholesale include bedside tables, chests of drawers, wardrobes, stools and desks to create a modern and complete look. 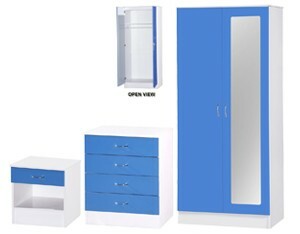 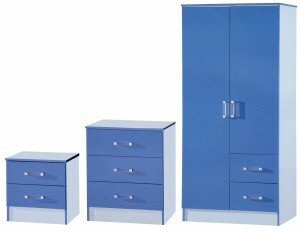 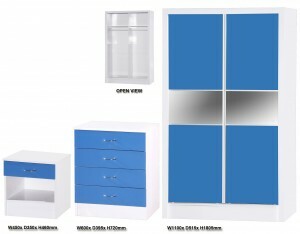 Available in several colours, styles and designs, children's bedroom sets from Ark Furniture Wholesale are affordable and give you the opportunity to accelerate your enterprise by passing on the savings to your customers.